This week Spire Global added four new LEMUR2 satellites to its constellation, with delivery conducted by a Northrop Grumman Cygnus cargo spacecraft finishing up its time in orbit. The “S.S. 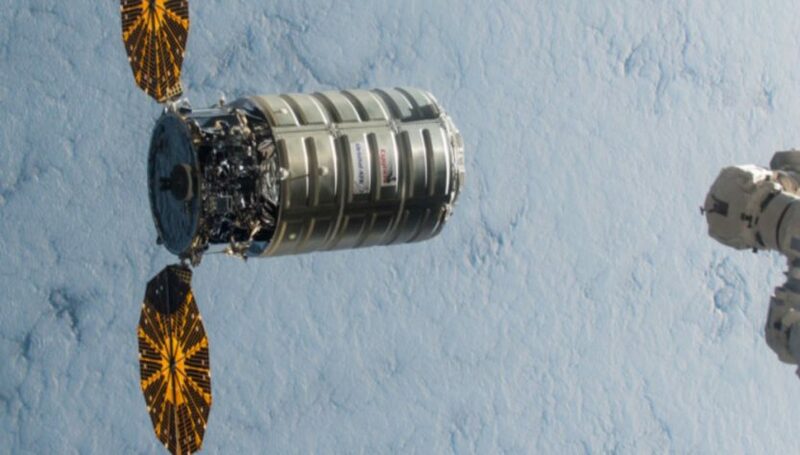 J.R. Thompson” Cygnus spacecraft departed the International Space Station (ISS) on July 15 and then moved into a higher orbit on July 16 to deploy a total of six externally-stored cubesats into the proper orbits. Thompson was launched on May 21 from Wallops Flight Facility on the CRS-9 supply mission, delivering around 7,400 pounds of cargo and science experiments to the station. Spire’s four new LEMUR2 satellites are designed to perform three missions: AIS ship tracking, ADS-B aircraft tracking, and radio frequency weather data. The company’s AirSafe ADS-B aircraft tracking technology will be deployed on all future LEMURs, with an anticipated total of around 150 3U CubeSats in the final constellation. A total of 81 LEMUR satellites have been put into orbit, with the currently operational total at 61. In low earth orbit (LEO), a LEMUR has an in-orbit lifespan of under 5 years, so the company has a steadily improving pipeline of satellites being built and to be launched on either rideshare-style opportunities via Cygnus and other opportunities or on a dedicated small satellite launcher, such as the Rocket Lab Electron. In addition to the LEMURs, a pair of 3U CubeSats built by the Aerospace Corporation were deployed. AeroCube 12A and 12B are designed to test new star tracker sensors, high-efficiency solar panels, an electric propulsion system, and various nanotechnology payloads in a space environment. S.S. J.R. Thompson is scheduled to conduct a safe destructive reentry into the Earth’s atmosphere over the Pacific Ocean on July 30, marking the completion of all of its mission tasks.